Players and fans alike are falling in love with an 18 year old who just helped his team, Zenit Kazan, win the Russian Superleague Championship. Russia's Victor Poletaev was a huge contributor when his team defeated Lokomotiv Novosibirsk 3-0 (25-20, 25-20, 25-22) to claim Superleague gold. 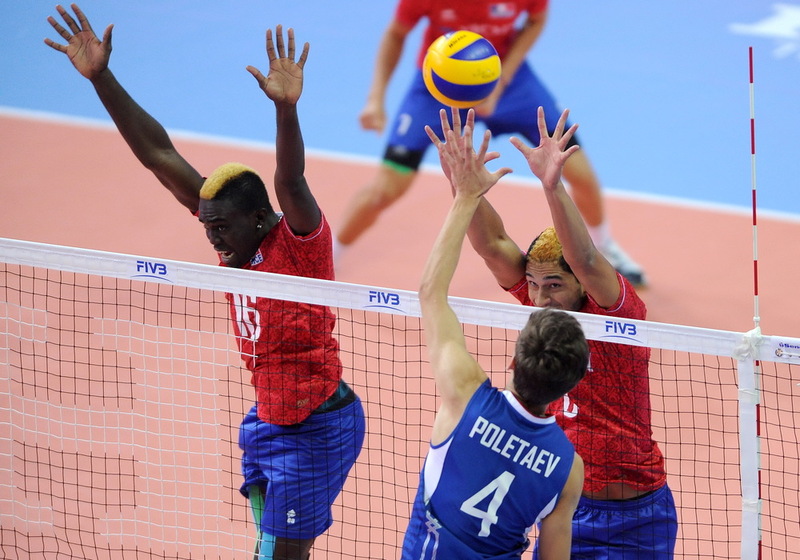 Poletaev grew up in Chelyabinsk, Russia where his father introduced him to the game of volleyball. Along with volleyball, Poletaev also participated in high jump. After deciding to play for his school and a youth club team, Victor was scouted by the Russian powerhouse Zenit Kazan. They invited the youngster to join their youth team, where he was awarded the third top scorer in the league. He moved away from home for the first time to the city of Tatarstan to train with the youth team before being selected for the senior team. When Olympic gold medalist Maxim Mikhaylov twisted his ankle this season in the Final Six, it was Victor who took over Mikhaylov’s starting spot. In 35 games, Victor averaged 10.7 points per game and secured his starting spot for the rest of the tournament. Now that the Superleague has ended, Victor Poletaev is focusing his attention to the Russian Junior National Team. No stranger to the international competition at the youth level, Poletaev was a European Youth Champion, European Youth Olympic Festival Champion, FIVB Youth World Champion, FIVB Junior World Champion and a tournament MVP of each. Currently Russia and Victor are undefeated in pool play with a 9-0 record. Victor Poletaev will surely lead his team to a strong finishing spot in the tournament later this year. Russia's "Golden Boy" will only continue to developed and improve his skills as a player. Be on the look out for this prodigy, you might even see him in the 2020 Tokyo Olympics.